Smock Alley Theatre will play host to popular author Patrick Gale visiting Dublin to talk about his new book. Books 25 October, 2018 . Written by Peter Dunne . 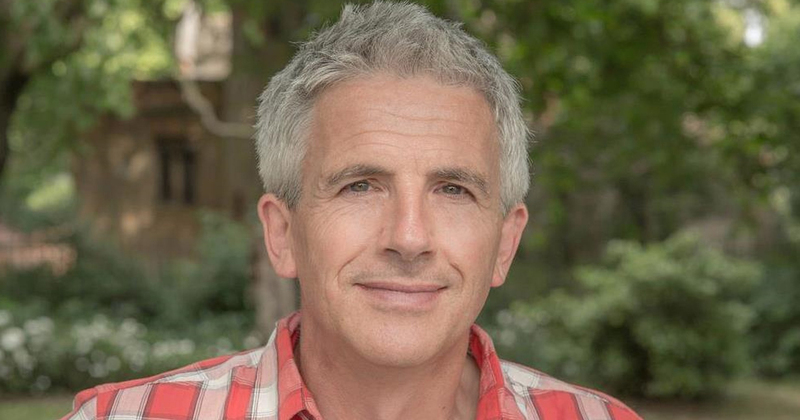 The awesome LGBT+ author Patrick Gale is visiting Dublin’s Smock Alley Theatre to discuss his new novel, Take Nothing With You, and yours truly have a pair of tickets to be won. Gale, one of the UK’s most popular writers, is the author of 16 novels including the bestsellers Rough Music, Notes From An Exhibition and A Perfectly Good Man, as well as the Costa Award nominated A Place Called Winter. He is also the writer of the acclaimed BBC drama Man In An Orange Shirt. It depicts two entwined yet separate stories illustrating the very different challenges to happiness for two gay couples in England — Michael and Thomas in the aftermath of World War II and Adam and Steve in the present day. The novel Gale is coming to speak about, Take Nothing With You, is a sad-funny comedy of resilience and survival. Our very own book guru, Stephen Boylan, reviewed the book in our last issue, giving glowing reports. “Fifty-something Eustace finds himself locked in a lead-lined room for thyroid cancer treatment with nothing but cello music for company. The music transports him back to his eccentric 1970’s childhood in Weston-Super-Mare, and the cello lessons he took at his mother’s behest. The lucky winners will get to hear Gale in conversation in Dublin’s Smock Alley Theatre on Monday November 5 at 6pm. All you have to do is answer the question below along with your name and email address. The closing date for entries is Friday November 2, and winners will be notified later that day. 25 October, 2018 . Written by Peter Dunne .